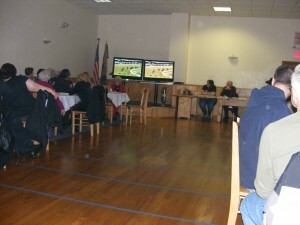 On Saturday March 5 2011 the parade committee held their annual Night At The Races & March Madness BBQ. The event was well attended. Half way through the races out came the barbecued hamburgers and hot dogs. 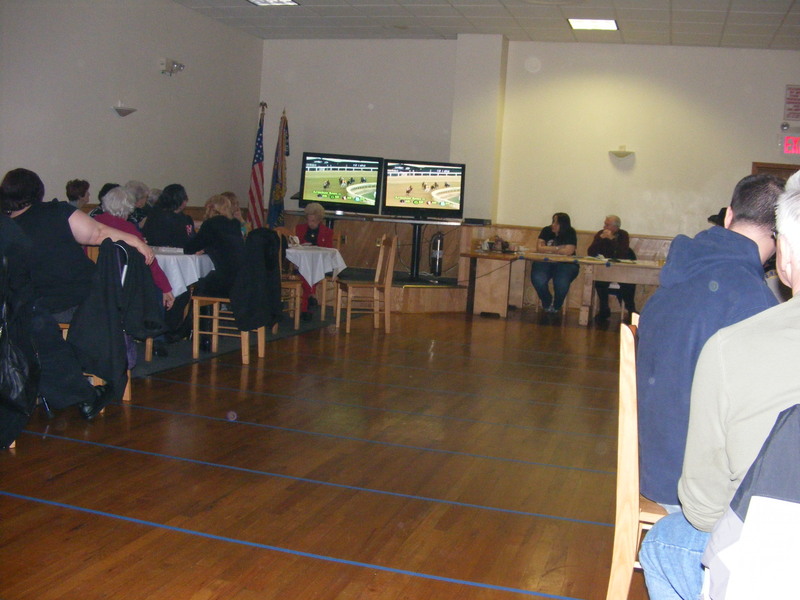 The last race was the human horse race, people had bid on stick horses and at the roll of the dice advanced to the finish line. If you would like to see more pictures go HERE.